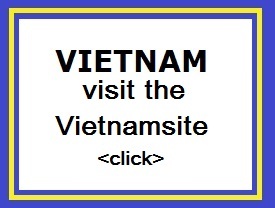 "The area is popular with many expatriates who choose to live here, and a large number of the villas owned by overseas nationals are located here. Much of the area features quietly undulating terrain with the rice paddies that typify much of south central Bali." Canggu is a town on the south coast of Bali. It is a new virgin destination in Bali, which is on the rise. Yet Canggu is only 20 minutes drive from the centre of Kuta. It is also within easy reach of the beach. You'll walk along the beach from Kuta and Seminyak to Canggu and then you'll find this beautiful location. It is located about 10 kilometres north of the hustle and bustle of Kuta. Some visitors prefer to stay in a quiet Canggu. They see it as the best alternative because of its tranquillity and beautiful surroundings. The nearby Kuta and Seminyak is too busy for them. Canggu is often used to refer to a large coastal stretch of about 8 km, which runs north from the village of Berawa (just north of Seminyak) to the village Cemagi (just south of Tanah Lot). In this area are along the beach: Echo Beach, Seseh Beach and Pereranan Beach. It's ideal for surfing, because of the waves are high at some beaches. There are in the area of Canggu many villas in Balinese style partial or full for rent. However, many come to Canggu for the rest. Quacking ducks are happily driven every day from one rice field to another by a patient duck keeper. The sound of ritual music and religious ceremonies are an integral part of everyday life. The robust Canggu beach (stretch is 4km) is known for its panoramic views, legendary sunsets and world-class surf breaks. For horse lovers, there is family, who runs the 'Kuda' stables. A large part of the area has a quietly undulating terrain with the rice fields, which covers a large part of south-central Bali. There is a relaxed atmosphere of culture, food and beach. The main streets in Cenggu are Jalan Batu Bolong, Jalan Padeng Lenjong, Jalan Jalan Batu Mejen and Tenah Barak. Along Jalan Batu Bolong you'll find the temple of the dead, the Pura Mirajapati, and Pipiten Cementary. Along the beach there are another two important temples, Pura Batu Bolong and Pura Batu Mejen, both are hundreds of years old and were built by the legendary priest Nirarhta, who built several temples on Bali. The area behind Cenggu has panoramic views of paddy fields (rice fields) and coconut palms. Just outside the village of Canggu begins the hinterland with some hills. 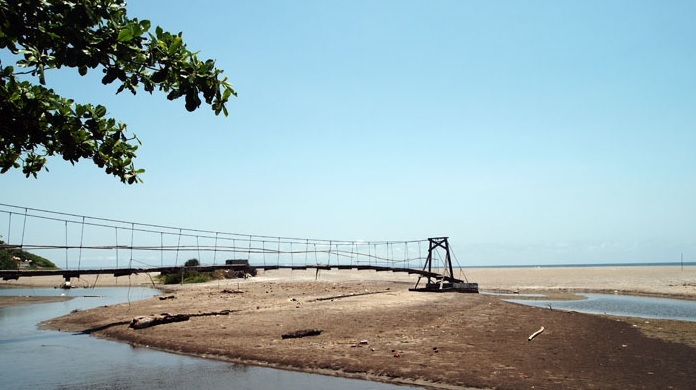 Canggu is still a largely rural area of ​​the beaches, but it is being developed rapidly. 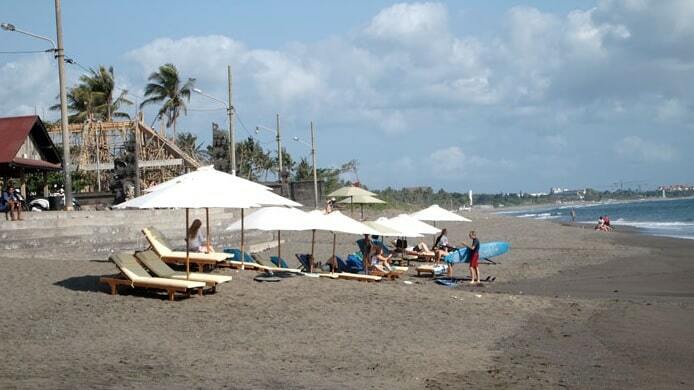 The area of Canggu is popular with many expatriates who choose to live in a quiet area. Many of the villas are owned by these foreign nationals and then they also live here. There are many restaurants (also known as Warungs) in Canggu. Most beaches have some Warungs with local and Western dishes for little money. Most places have wifi (even the cheapest of Warungs). Also many Warungs are doing home delivery when you stay in the rented villa, so call and ask. The beaches have dark gray or black sand and are not particularly good for swimming, but they are known for its challenging surfing spots. Echo Beach has a very good reputation as a surf beach. Surfing attracts many surfers and many viewers. The beach is blessed by the beautiful panorama of the sunset, which creates a romantic atmosphere for every visitor. Many surfers love this place very much, because of the big waves and they have this beach voted one of the best surf spots on the island of Bali. 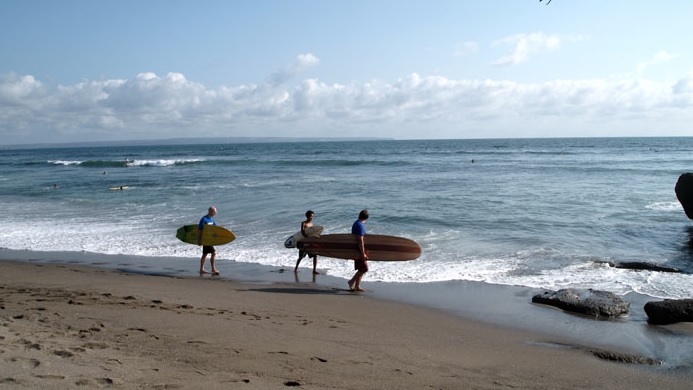 Canggu is actually a series of villages, each with their own beaches. The main throughfare is the roughly east-west running Jalan Raya Canggu which lies parallel to the beach, but around 4-5 km inland from it. From east to west, running down from Raya Canggu to the beach, are Jalan Pantai Berawa, Jalan Raya Baru Bolong, Jalan Padang Linjong (which morphs into Batu Mejan) and Jalan Raya Pantai Pererenan. Running along the ridge tops of valleys filled with paddy, these roads are not well interconnected and, while there are some back ways for short hops (eg Nelayan to Berawa), it is quicker to walk down to the beach. The most important back way we found connects Batu Bolong and Berawa running from a block north of Cafe Canggu across to near where Deus is. There�s another good one (bike only) from near Desa Seni that cuts through to Kelecung in Umalas, and lastly there is a goat track that becomes a trail, sort of, midway along Pererenan, which links back to Padang Linjong (absolutely bike only). Renovated in , the The Bali Dream Villa and Resort Echo Beach Canggu guarantees guests a pleasant stay whether in Bali for business or pleasure. Only away, this 4-star hotel can be easily accessed from the airport. For those of you who want to venture out, Deus Ex Machina Caf�, Your Time Relaxing and Healing, Batu Bolong Temple are just some of the attractions available to visitors. 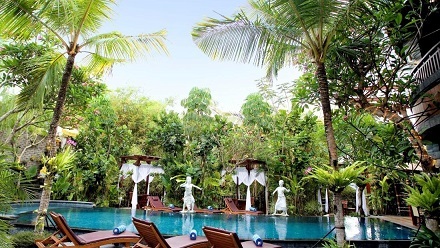 The Bali Dream Villa and Resort Echo Beach Canggu also offers many facilities to enrich your stay in Bali. For the comfort and convenience of guests, the hotel offers free Wi-Fi in all rooms, 24-hour security, daily housekeeping, photocopying, taxi service. Guests can choose from 30 rooms, all of which exude an atmosphere of total peace and harmony. Throughout the day you can enjoy the relaxing atmosphere of the golf course (within 3 km), outdoor pool, spa, massage, horse riding. With an ideal location and facilities to match, The Bali Dream Villa and Resort Echo Beach Canggu hits the spot in many ways.